Do you have a boring ceiling? Looking for a way to spruce it up? Take a gander at this customer submitted ceiling design. It is definitely not boring. 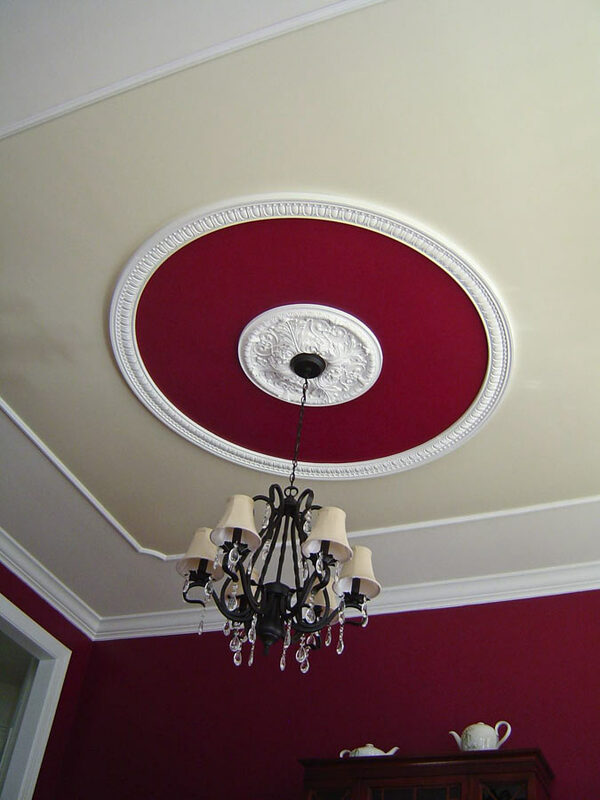 This person has an eye for simple detail and style and has created this faux tray ceiling using relief molding and a ceiling medallion. With just a little creative painting they have created a little visual trickery to give the impression that the ceiling is higher than it actually is giving the room a more open, airy feel. Let's start in the middle and work our way out, shall we? In the Victorian era, the plaster ceiling medallion's purpose was to protect ceilings from candle burns. At Wish I Had That we have so many affordable polyurethane moldings available that it's a great way to add architectural interest to any room. Traditionally paired with chandeliers, a ceiling medallion can be placed in your foyer and entryway, kitchen and dining room, living room and bedroom. Get a ceiling medallion for every room in your home. And watch your fingers - those candles get hot! 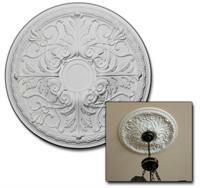 The EM-0662 Ceiling Medallion brings to mind a more picturesque period in architectural design. This medallion features a beautiful plumed oak leaf interior pattern framed in an egg design outer trim. 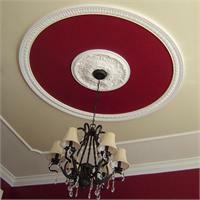 The next "layer" of our ceiling design is constructed using our ER-8649-150 Quarter Round casings. By revisiting the egg pattern in the medallion, the ceiling design has continuity from one tier to the next. Tip: Our Quarter Round moldings are sold by the individual piece; so, if you need a full circle, be sure to purchase four pieces. 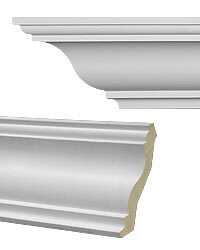 Ceiling trim, whether it's crown molding or simple flat trim, adds a finished look to a room. It can be a simple, inexpensive way to accent a room if you do the job yourself. Our polyurethane moldings are also easy to install and create an elegant atmosphere. Here, by using our WR-9132 molding, the designer has framed the other ceiling elements providing a finished, complete appearance to their ceiling design. Without detracting from the overall appearance of the ceiling design, we can use a more contemporary crown molding like CM-1267 4" Crown Molding. Beautiful and contemporary, this universally appealing style brings out a modern yet classic look to this room. Need less ornate Crown Moldings?